Watch the crew at AmericanMuscle help some of our own employees, friends at Bama Performance and even our customers modify their Mustangs. 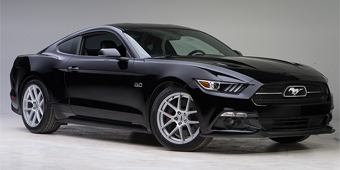 We tackle any part that they want to add from performance to styling, handling and more. 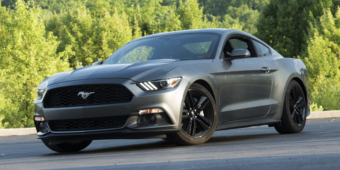 Watch us modify everything from brand new stock Mustangs to highly-modded high-performance Mustangs in these build videos. 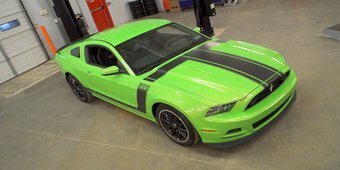 Watch as a 2013 Boss 302 Mustang comes into the headquarters for a pretty insane tune up. 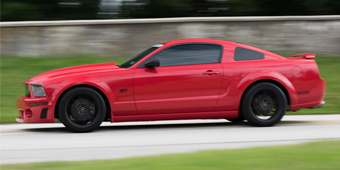 This Mustang receives all of the essential upgrades to get it looking, sounding and performing perfectly. Watch as we install mods such as a JLT intake, BBK throttle body, Kooks and Magnaflow exhaust components and so much more. Check it out to see the final result! Take a look as we take AM Enthusiast, Heather's stock 2015 EcoBoost and install a ton of aftermarket engine modifications. We install a C&L Cold Air Intake, Borla Off-Road Downpipe, Borla ATAK Catback Exhaust and COBB Accessport V3 Tune to put this EcoBoost engine to the test. Watch to see what horsepower gains we get after running it on the dyno. 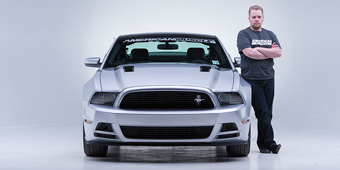 AM Enthusiast Ron takes his 2015 Ecoboost Mustang and hands it over to the team at AmericanMuscle to get his 2.3L 4-cylinder turbo Mustang ready for SEMA 2015! We take a trip down to CP-E and add a brand new Borg Warner big turbo kit. For Ron we installed a set of Forgestar F14 Wheels, RTR Grille, CP-E Intercooler piping, Eibach Springs & Sway Bars, CP-E Turbo back Exhaust and much more! AmericanMuscle Custom Angelo drops off his stock 2015-2019 EcoBoost Mustang for some power, handling and sound! 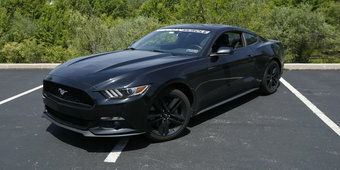 We installed Eibach lowering springs, Airaid Cold Air Intake and Flowmaster Outlaw Exhaust on this S550 Mustang. Not only are these some of the must-have mods for your 2015-2019, but Angelo takes you for a test drive in the video below to show off the difference! 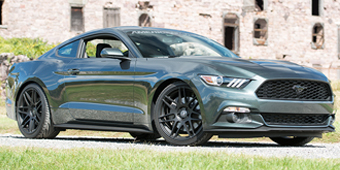 AmericanMuscle Customer Mike takes his bone stock 2015-2019 Mustang GT and adds a little bit of power, styling and handling with the help of some of the hottest new S550 Mustang parts. After Bama Performance tunes, cold air intake, lowering springs, wheels and more, Mike’s 2015-2019 is on his way to a pretty stout build! AM Enthusiast Zach W. puts down over 400 horsepower to the ground with only a C&L Performance Cold Air Intake and a Bama Performance X4 loaded with Bama's V2 tunes. 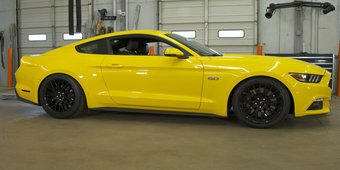 After a few dyno pulls, Zach hits the street with his 2013 Mustang GT/CS to put it through its paces with the new mods added.